1. A 7-in-1 Instant Pot that'll speed up hours-long recipes so cooking pot roast on a weeknight will be a lot less daunting. 2. 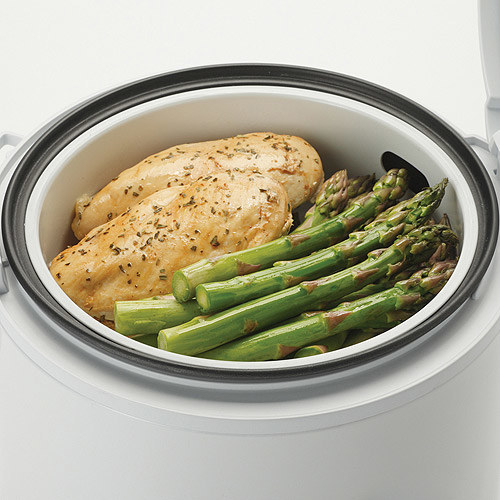 A double-layer food steamer for preparing healthy dinners with almost zero effort. You'd have to cut and rinse the veggies but that's about it. There's a 60-minute timer that automatically shuts the steamer off when done. Get it from Walmart for $24.09. Or, check out a microwave steamer. 3. 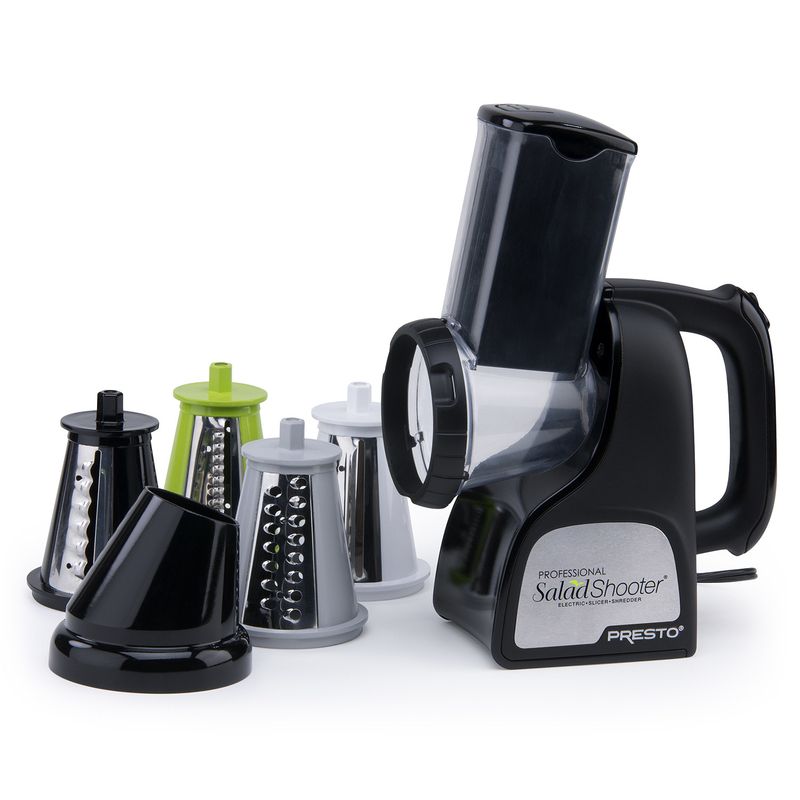 An electric slicer/shredder to literally shoot ingredients into your salad (or pasta, pie, casserole, etc.). Simply load in an ingredient, press a button, and let the magic happen. It comes with four interchangeable processing cones and a handy funnel guide. The motorized base wipes clean, and all other parts are dishwasher-safe. 4. A handy food cutter so you can leave your knife and cutting board in the cabinet and chop ingredients directly over the pan. 5. 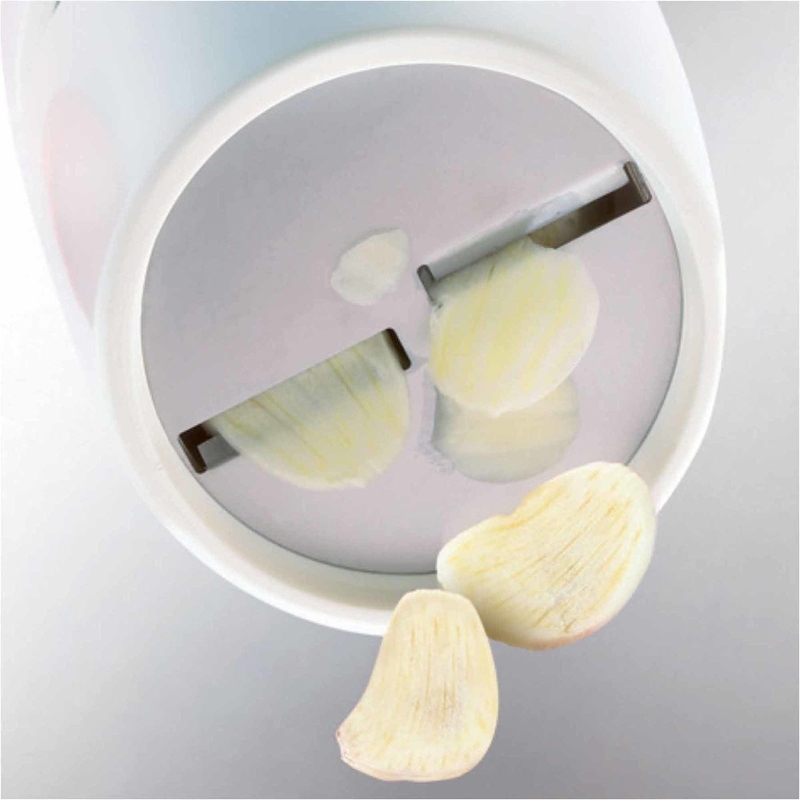 A gourmet garlic slicer that'll turn a whole clove into fine slivers with just a few turns. No more getting your hands stinky. 6. An air fryer — it can make any ingredient taste crispy and delicious, from chicken wings to broccoli. It uses little to no oil and cooks food super quickly. 7. 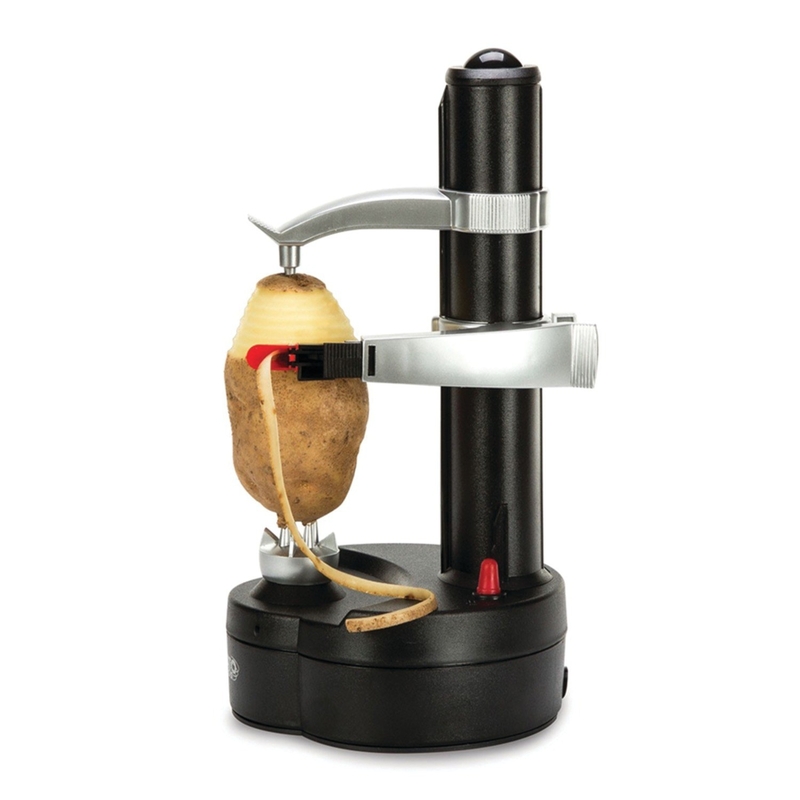 An electric potato peeler for a satisfying way to get produce peeled and ready to go. 8. 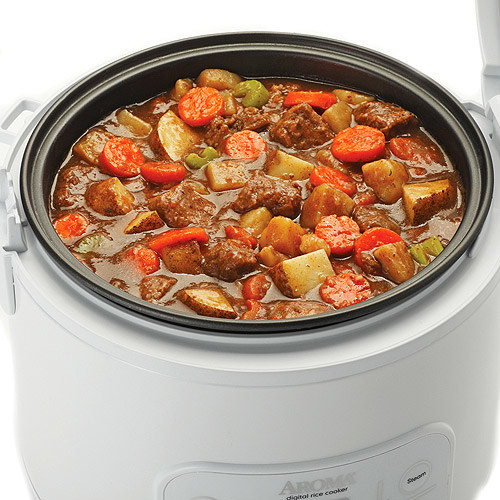 A good ol' Crock-Pot to do the cooking for you while you're at work or even sleeping. 9. A dough press set so you can turn some leftovers and premade dough sheets into surprisingly professional-looking perogies, empanadas, and dumplings. It comes as a set of three, one in each size. Get it from Walmart or Jet for $9.27. 10. A rotating pizza oven that can do pretty much anything a conventional oven can and a lot faster — bake a pie from scratch or heat up frozen foods and leftovers. 11. A turning spiralizer for easily cranking out some delish zucchini pasta that'll rival restaurant dishes. It comes with three interchangeable stainless-steel blades for curling, mincing, and spiralizing. Get it from Walmart for $18.12. 12. A quesadilla maker to magically transform random leftover ingredients and some cheese into a tasty dinner. Call it a miracle gadget because that's what it is. Get it from Walmart for $19.54 or Jet for $19.99. 13. A sushi-making kit for a fool-proof way of making California rolls at home. The Seamless guy might be worried about you because you'll stop ordering takeout. This kit includes eight mold pieces, a spatula, and a large rice fork. Everything's dishwasher-safe. 14. A panini press because there are very few things in this world that are more satisfying (and easier to make) than a hot sandwich. Get it from Walmart for $20. 15. 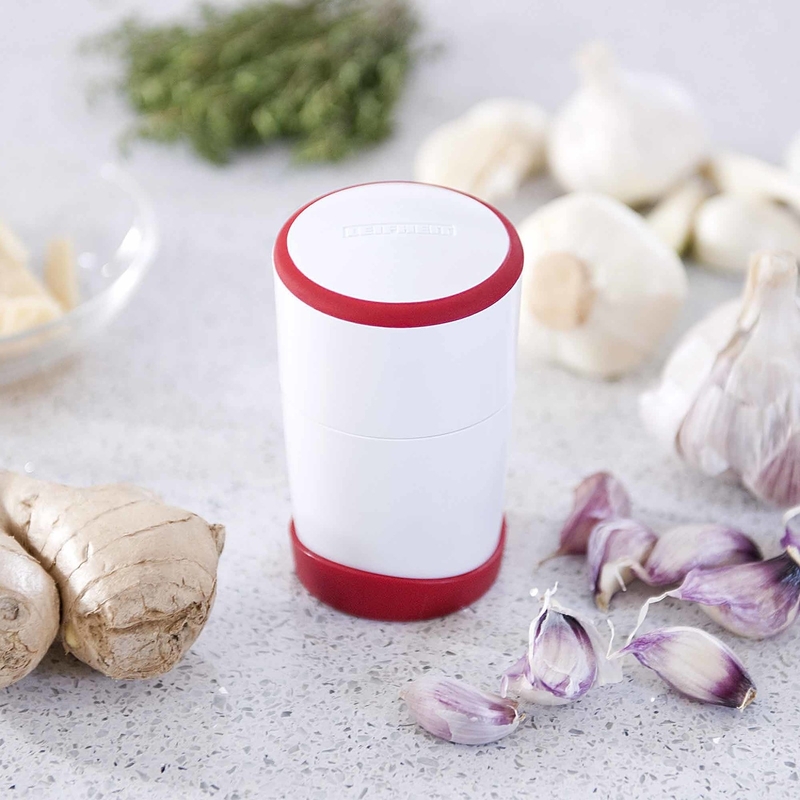 A mini food chopper so you don't have to spend your precious time slicing and dicing. It has a 1.5-cup capacity. The bowl, lid, and blade are dishwasher-safe. Get it from Walmart for $10.06. Or, check out a manual version. 16. A convection toaster oven for roasting chickens, reheating leftovers, toasting up some bread or chicken nuggets — all without firing up your full-size oven. It fits 6 slices of bread or a 9" pizza and has a 30-minute timer with auto shutoff. There are bake, convection, broil, and toast settings. Get it from Walmart for $39.96 or Jet for $41.25. 17. 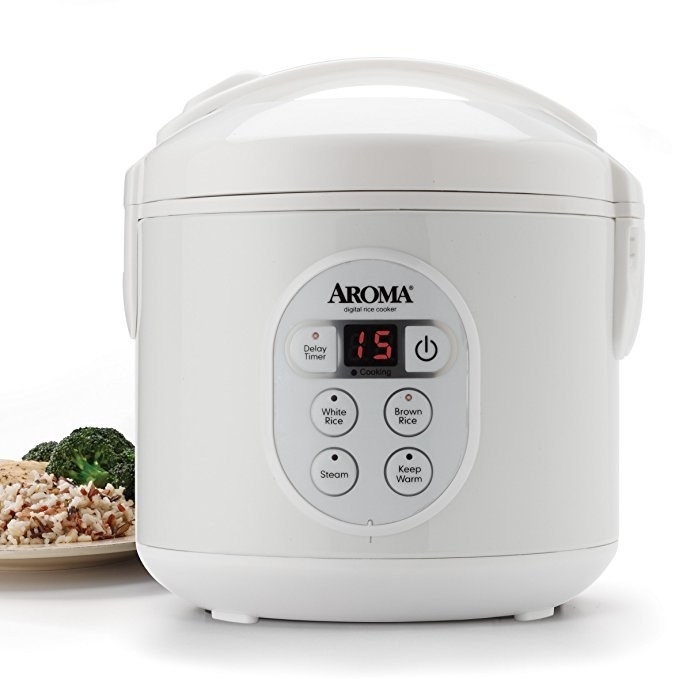 A digital rice cooker (with a steaming tray) to make easy, one-pot meals — the included steam tray allows for meats and vegetables to be steamed while rice cooks below. It can make two to eight cups of cooked rice. 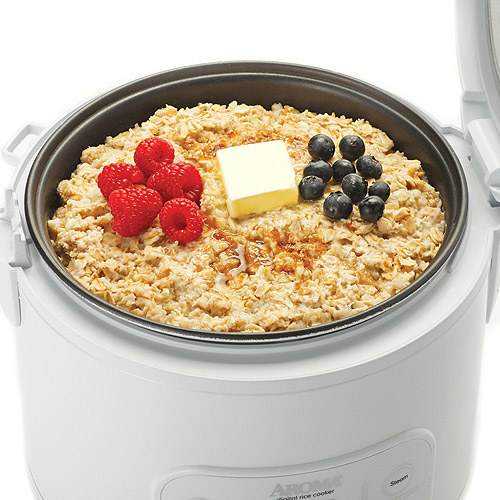 It's also great for cooking soups, stews, chili, and oatmeal and reheating leftovers. 18. A breakfast sandwich maker, if you love having breakfast foods for dinner. You can also customize the sandwich to include more ~dinner-ish~ ingredients. 19. A pair of herb scissors that'll cut up entire stalks of scallions in no time. It has five blades and comes with a cleaning tool. 20. An As-Seen-on-TV non-stick cooker for whipping up single-portion meals with minimal cleanup. 21. An electric egg cooker to take the effort and guesswork out of cooking perfectly hard-boiled eggs. Spend less time prepping and more time eating!